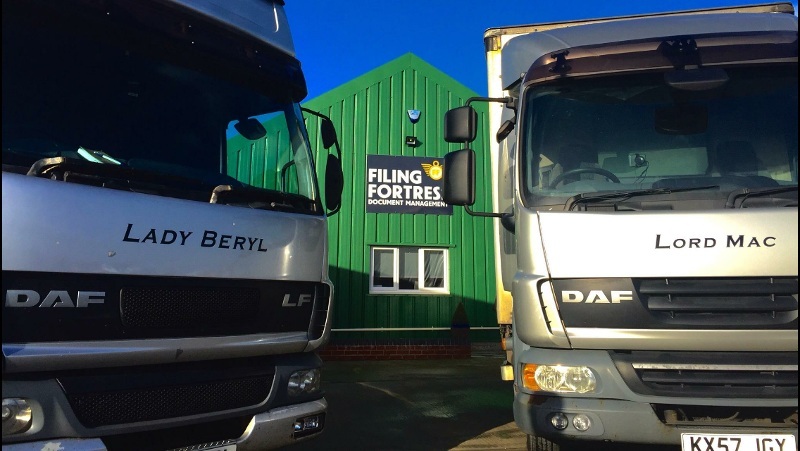 Filing Fortess is a family run business based in the heart of Suffolk on the former home of the flying Fortress. We are close to the A140 and A14 and the Port of Felixstowe to give our Clients the best possible access. Our warehouse has 24hr CCTV and dual com alarm systems and is fully dehumidified to provide a safe secure and clean environment for your goods. Filing Fortress are here to make your document management and storage needs as simple and hassle free as possible. Our aim is to provide a personable, cost effective and secure service for clients that want to save space, time and money by outsourcing storage, delivery and confidential waste paper destruction. We pride ourselves on traditional values, visiting and talking to our customers on a regular basis to ensure that a good working relationship is formed from the offset. We are contactable 24/7 via phone or email. No need to hire a van and bring your items to us, we will collect as part of our service. We aim to be the most convenient self storage service and by offering a collection and delivery of your items we know that our service is much more useful to you the customer. We offer a service that can take items of all shapes and sizes, your items do not need to fit in a certain sized box or have specific dimensions. Just call us and tell us what you need, and we will be able to help you. Monitored intruder and fire alarm systems. Day and night CCTV cameras. Temperature controlled warehouse.